OnePlus sure knows how to make an entrance. Arriving at the tail end of a jam-packed Android season that included nothing less than the Samsung Galaxy Note 9, LG V40 ThinQ, Google Pixel 3, and the Huawei Mate 20 Pro, the OnePlus 6T could have easily been a victim of flagship fatigue. OnePlus did a fantastic job designing the 6T. But OnePlus took a different tack with the 6T. Rather than try to garner attention with over-the-top features or specs, it elevated the phone by delivering the one thing fans have been hoping for since the OnePlus One: U.S. carrier support. The 6T marks the first OnePlus phone to be sold at T-Mobile stores, so the 6T actually has a chance to steal sales from its premium peers. And it probably will. The 6T continues OnePlus’s breakneck pace of refreshes, coming just six months after the 6, and bringing a gorgeous design, higher-end specs, and a price that exposes just how much of a premium we’re paying for other high-end smartphones. 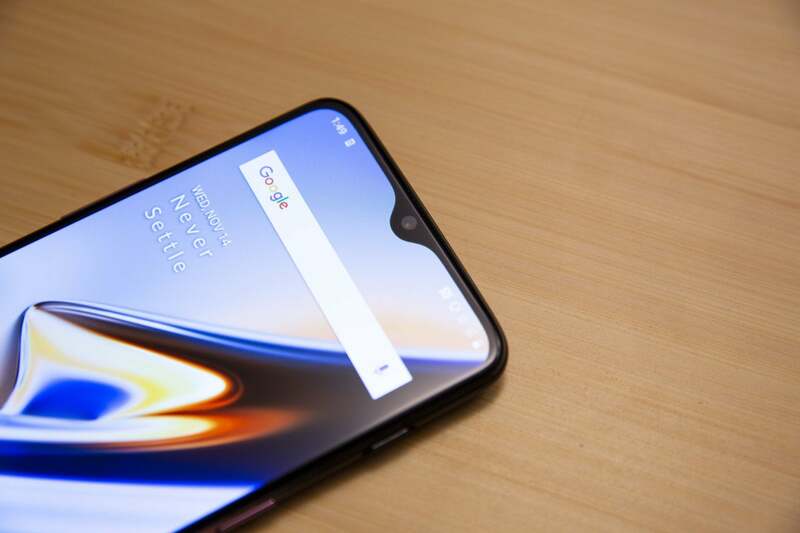 Like the 6, the OnePlus 6T includes a display notch, but it’s one of the smallest you’re going to find—a tiny teardrop cutout that’s barely big enough to contain the camera. The bezels have shrunk as well, giving the 6T one of the highest screen-to-body ratios and a truly immersive design that rivals the iPhone XS in aesthetics. The side of the purple OnePlus 6T has a cool gradient to match the back. Around the back, the 6T looks pretty much the same as the 6, with a vertically aligned camera array set against a clean piece of glossy or matte glass. 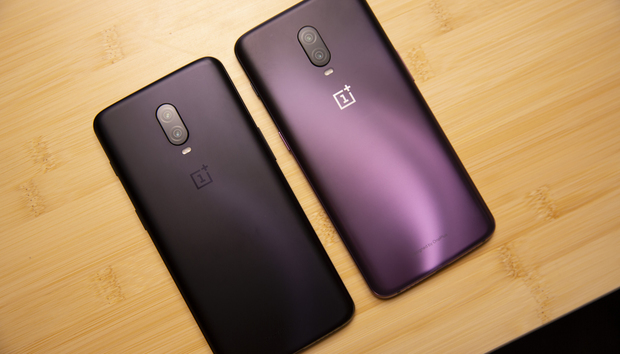 The midnight and mirror-black color schemes have returned, and OnePlus is also offering a brand new color, which it calls Thunder Purple. It’s darker than Samsung’s Lilac Purple and fades into total darkness at the top, somewhat reminiscent of the glow around a lightning strike (hence the name). The sides of the phone follow the same gradient, so the power button is purple but the alert slider is black. There’s also a subtle “S” curve down the middle when it hits the right light. In a strong season of smartphone colors, the purple 6T is one of the best, and anyone who rushed to buy a black one will likely be a little miffed. 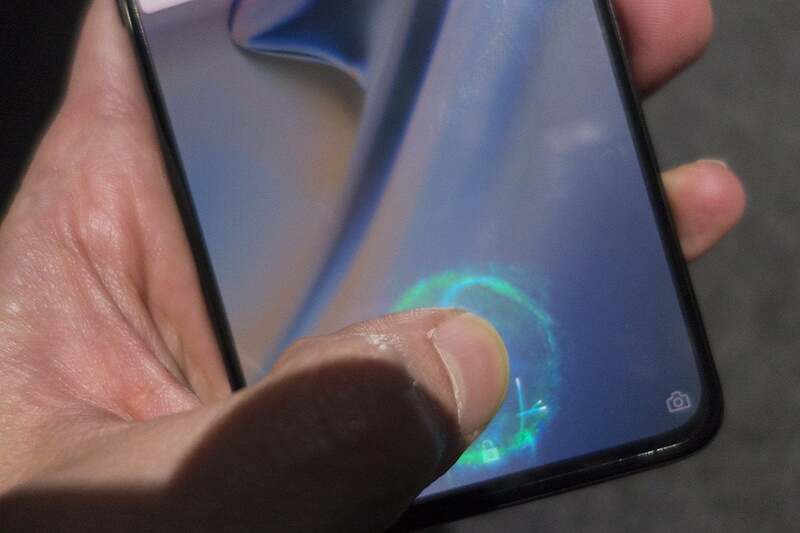 One thing you won’t find on the back of the OnePlus 6T is a fingerprint sensor. That’s because it’s returned to the front, under the display—but not like it was on the OnePlus 5. Instead, it’s literally underneath the display on the 6T, making it one of the highest-profile phones to adopt this new technology. The in-display fingerprint sensor on the 6T looks all futuristic when it works. The sensor tech is still optical, so it needs a burst of light to work. Activating this burst can be jarring in a dark room (as it’s unrelated to screen brightness), but there’s no denying the coolness of the animation. Setting it up for the first time is downright exciting, as the system prompts you to turn your finger on the display as it learns the contours of your fingerprint. You’ll want to show it off to your friends with Pixels and Galaxy phones, and it definitely gives the 6T bragging rights over other premium phones. But it also feels very much like a first-gen sensor, which is a bit of a step backward. Without a defined area to place my finger, I often missed the sensor on my first try. Other times I simply placed my finger at the wrong angle. Even when it worked on the first try—I’d say 7 times out of 10, on average—it took a few milliseconds longer than a traditional sensor would. OnePlus offers face unlocking too, but it’s nowhere near as secure. So if the fingerprint sensor frustrates you like it did on the Galaxy S8, your only option is a PIN or passcode, which is decidedly low-tech. It’s not without its downsides, though. You still don’t get wireless charging or water resistance, and this time around OnePlus removed the headphone jack (though it does include a USB-C to 3.5mm adapter in the box). On the flipside, OnePlus has added a few extra milliamp-hours to the battery, and just like the 6, it’s more than capable of powering through most days. 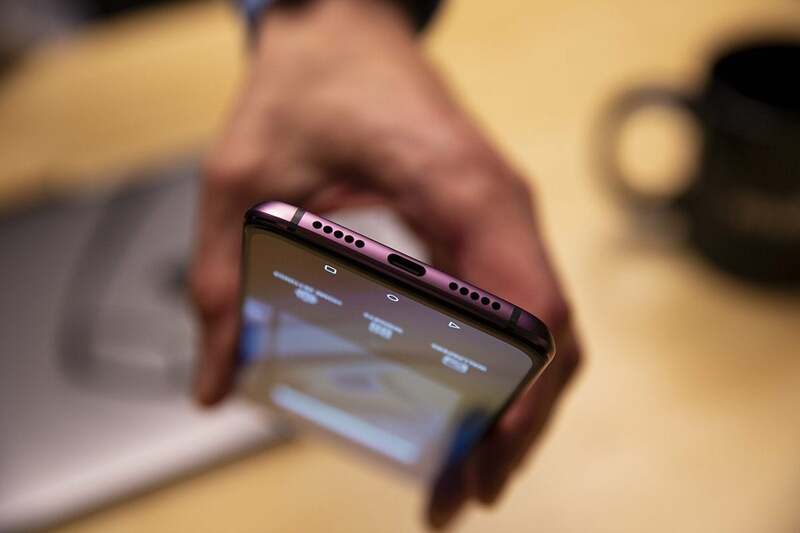 Sorry y’all, there’s no more headphone jack on the 6T. You also still get a great power-to-price value. While the entry-level 6T is $20 more than the 6, it gives you twice as much storage, which carries a $50 premium on the S9 and costs $100 extra on the Pixel 3 XL. You can increase RAM to 8GB for just $30 more. That $579 configuration is the only one being offered in the Thunder Purple color, but it’s the best possible combination of storage and RAM. If you really need 256GB of storage, you can get that in either of the black varieties, but 128GB should be plenty for most people. The model I tested was spec’d 8GB/128GB, and it’s a screamer. I’m well accustomed to the Snapdragon 845 chip by this point, and OnePlus’ OxygenOS makes it feel nearly as fast as it does on the Pixel 3 XL, along with a minimal interface, gesture navigation, and full Android 9 Pie support. 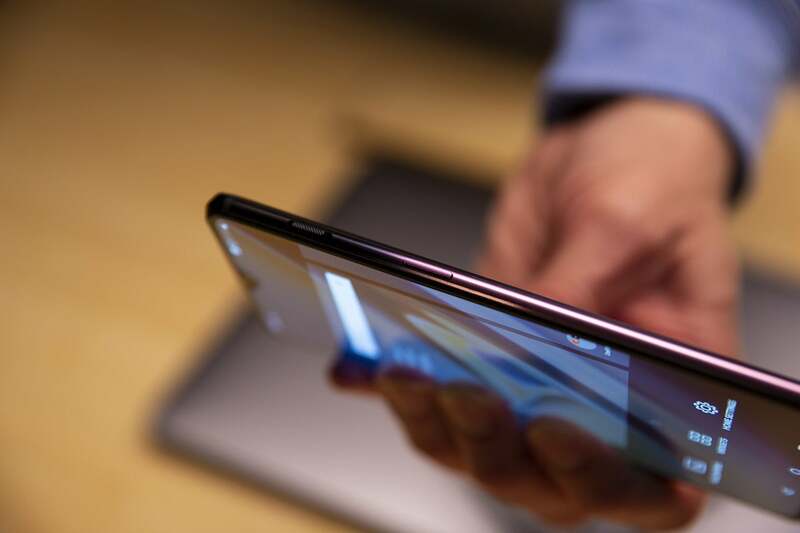 OnePlus does things a little differently than Google, and I found the 6T’s home button-less gesture navigation a little confusing. But the fact that the OnePlus 6T is one of the only phones to support the latest version of Android out of the box bodes well for future updates. OnePlus has rarely been at the front of the line when it comes to the latest software, so perhaps this is a sign that it’s turning a new leaf. If you hate notches, you still might like the OnePlus 6T. Now would be a good time to do so. 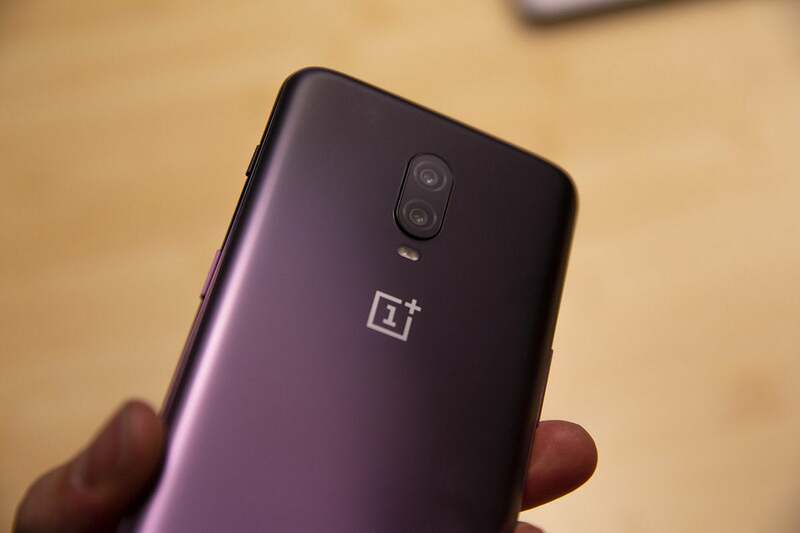 The 6T will be sold in T-Mobile stores, marking the first time that a OnePlus phone will be sold in any U.S. retail store, which will surely do wonders for its visibility. It works with Verizon SIMs as well, but that takes a little more doing. Out of the box, my OnePlus was able to make and receive calls, connect to LTE, and send texts but not receive them. After lengthy correspondence with customer service, it’s still not resolved a few days later. However, Verizon did concede that it’s “a known issue about the device not having the CDMA-less feature.” So even though I didn’t get it fully working for this review, Verizon is on board with the OnePlus 6T, and that’s a big deal, if not for the 6T then certainly for the 7. Cameras have always been OnePlus’s weakest link, and that hasn’t really changed with the 6T. The hardware is identical—right down to the Sony IMX sensors—but OnePlus has enhanced its image processing to compensate. The OnePlus 6T (right) handled the various shades of green slightly better than the OnePlus 6 (center), but neither were a match for the Pixel 3’s superb detail. Most notably, there’s a new Night mode that boosts brightness in ultra-dark scenes. It’s kind of like Night Sight on the Pixel 3 XL, though not nearly as successful. Where there was available light, the OnePlus tended to blow out details with too much exposure, and it struggled to pull out recognizable images when shooting in intense darkness. Still, it’s a definite improvement over the standard auto mode. With Night Mode on (right), the OnePlus 6T blows out the light, which can be problematic at times. Elsewhere, the OnePlus 6T still behaves like a mid-range camera. The pictures I took weren’t bad by any stretch, but they also didn’t stand up to the output of the Pixel 3 XL or Note 9. You can argue that those phones cost way more—and many people will—but that’s a hard pill to swallow when OnePlus is positioning itself as a premium phone at an affordable price. It tells us to “never settle,” but consistently asks us to compromise when it comes to the camera. That said, OnePlus has made measurable advancements in computational photography with the 6T, and it’s also bringing it to earlier models, which gives hope that the 6T will only get better. Should you buy a OnePlus 6T? There’s a lot to like about the OnePlus 6T. It has the core silicon best specs you can get in an Android phone, an excellent screen, fantastic design, and a super-cool, next-gen unlocking method. It costs hundreds of dollars less than its Snapdragon 845 peers do. And the new purple color is straight-up gorgeous. But while the OnePlus 6T punches above its weight when it comes to raw power, it still comes up short in the things the make premium Android phones premium. It doesn’t have wireless charging or rated water resistance, its camera is an also-ran, and it’s even lost the headphone jack. These are all things someone buying a $550 phone might overlook, but OnePlus wants to be known as an affordable premium phone, not a powerful budget phone, so these things matter. 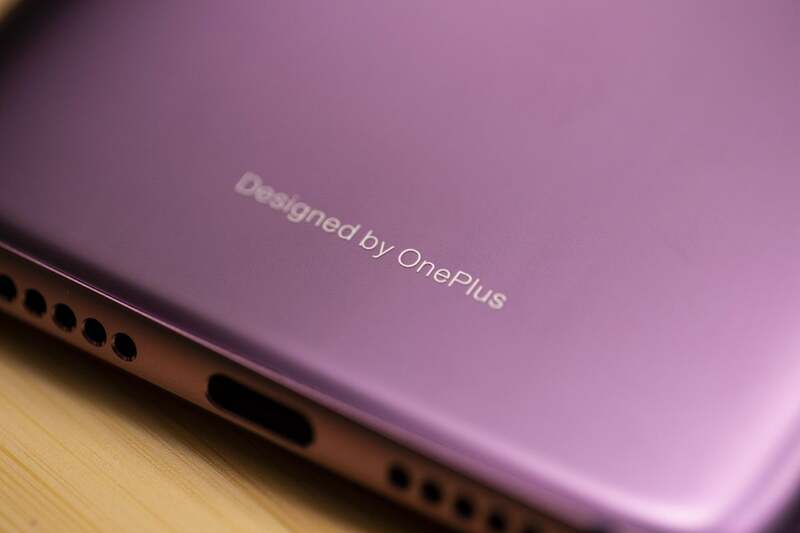 Now OnePlus will literally be side-by-side with its rivals in T-Mobile stores. For many people, the 6T will be their introduction to OnePlus, and it definitely makes a strong first impression. But when competing against the likes of Google, Samsung, and Apple, it’s more about the second, third, and fourth impressions. Still, if OnePlus can address those shortcomings, it might truly become the flagship killer it wants to be.